Thomas & Mercer, 9781503902398, 302pp. 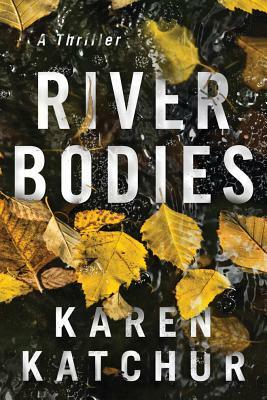 In this dark, gripping mystery, a brutal murder unearths old secrets that should have stayed buried. A body just turned up in the small town of Portland, Pennsylvania. The crime is eerily similar to a twenty-year-old cold case: another victim, brutally murdered, found in the Delaware River. Lead detective Parker Reed is intent on connecting the two murders, but the locals are on lockdown, revealing nothing. The past meets the present when Becca Kingsley, who returns to Portland to be with her estranged but dying father, runs into Parker, her childhood love. As the daughter of the former police chief, Becca's quickly drawn into the case. Coming home has brought something ominous to the surface--memories long buried, secrets best kept hidden. Becca starts questioning all her past relationships, including one with a man who's watched over her for years. For the first time, she wonders if he's more predator than protector. In a small town where darkness hides in plain sight, the truth could change Becca's life--or end it.